Datavox India offer cutting edge ,simple, affordable and reliable Customer Relationship Management (CRM) Software. Our CRM solution enable business to build personalized experiences for each and every customer. It will help business to create deep relationships that accelerate business growth.Whether you want maximize sales lead or leverage marketing automation, Datavox India can help you to achieve that. As your client database grows , it is hard to maintain regular and potential customers on priority.We are humans and we cant memories all the data.Our marketing automation functionality makes it easy to stay in constant contact and uncover more opportunities for your Sales team.We have fully integrated sales, marketing, customer service tools to deliver highly personalized experience to customer and help you gain customer insight with loyalty.We design CRM solution to build deep relation to customers that accelerate business growth. Our Planning of CRM Solution for your business start with a thorough analysis of your business needs. The process of selecting a CRM software solution is very time consuming and demanding thus, stressing the importance of integrating the right CRM solution the first time. With many Years of experience in helping organizations of all sizes get results from their CRM, our innovative process has been uniquely designed to guide your organization to the perfect CRM solution. We provide highly flexible customer relationship management (CRM) that can adapt, grow, and scale along with your business. We provide single platform to control and manage complete client details. Our CRM solutions helps to reduced costs, improved data quality and better internal cooperation. Our CRM Solutions Enable businesses to Understand the customers, Retain customers through better customer experience and Decrease customer management costs.We offer solutions designed to be both flexible and feature rich and meets the growing demands of today’s business conditions.We have software development team to support all the customization you required for your business.We make sure our Customer Management solutions deliver maximum deployment flexibility and all business niches or personalization requirements.Contact Datavox India today for your CRM Solutions needs in India. 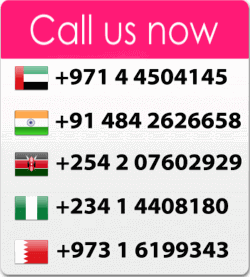 We cover entire India included Kerala, Abudhabi , Umm Al Quwain, Ras Al-Kaimah, Sharjah, Umm Al Quwain, All Ain and Ajman.